Emotional support animals have recently come to include peacocks, as well as normal pets like dogs. Some airlines have mishandled the abundance of creatures boarding their flights, and on occasion, the results have been less than ideal. 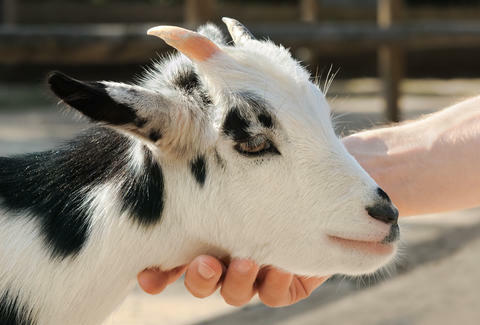 So instead of catering to passengers who might demand extra accommodation for their barnyard animals, Alaska Airlines has broadened the scope of its banned pets to include goats and hedgehogs. In an update to its emotional support animals policy on Tuesday, the airline made clear that animals with tusks, horns, or hooves are no longer allowed on its flights. The carrier will allow well-behaved mini-horses to enjoy its services, though, provided they are properly trained to experience the miracle of human flight without treating a plane's cabin like a barn. Those sure are a lot of strange animals to take on an airplane! Alaska's revamped policy comes as commercial airlines have been experiencing a huge surge in emotional support animals boarding flights. A survey by the industry group Airlines for America found that airlines carried 751,000 support pets last year, which is an 80% increase from 2016. Alaska reminds in its policy page that service animals are only intended for people with health problems, such as those who are "blind or have low vision, are deaf or hard of hearing, have diabetes, seizures, mobility limitations or other needs." Airlines clamping down on increasingly bizarre animals on planes shouldn't come as much of a surprise. Especially when people will try to sneak even the most ghastly and downright horrible creatures onto an aircraft.